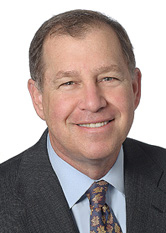 Howard P. Lakind concentrates on banking, real estate and commercial transactions. Mr. Lakind has extensive experience in complex commercial real estate acquisitions and development activities. Mr. Lakind also represents borrowers, banks and other financial institutions in connection with real estate and commercial lending transactions. He recently represented a client in the acquisition of a 400,000 square foot office complex in Florham Park, New Jersey, and the financing of a $41 million acquisition and construction loan for this project. Immediately prior to joining Windels Marx, Mr. Lakind served as in-house counsel to Constellation Bank, N.A. and CoreStates Bank, N.A. (1990-1995). Mr. Lakind is a member of the Banking Law Section of the New Jersey State Bar Association and the Real Property, Probate and Trust Law and Business Law Sections of the American Bar Association.